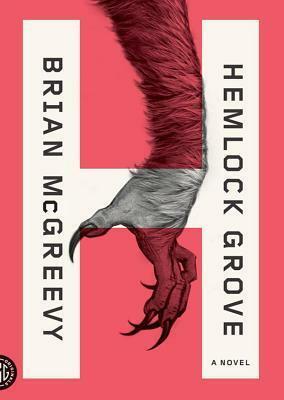 When Netflix launched the whole season of Hemlock Grove, I watched it within a span of 2 days. Needless to say, I was instantly hooked and addicted to the characters and story line. It wasn't till after I finished watching the show that I looked it up online and saw that it was a novel first by Brian McGreevy. After I found that out, I instanstly bought a copy on my Google Play Books and began reading. Let me say, the TV show did not stray far from the novel at all. Much of the scripting was almost exactly word for word. Since I watched the series first, I was reading everything in the character's voices which can or can not be a good thing.